Saturday's concert has been cancelled due to illness. We apologize for the inconvenience. 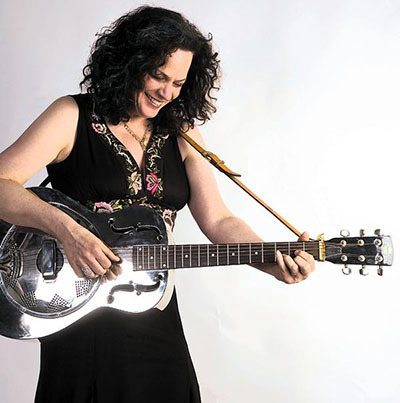 The Great American Folk Song Revival with Caroline Doctorow: In this performance, Ms. Doctorow will celebrate the folk music of the early ’60s, presenting the work of important American songwriters and performers such as Bob Dylan, Pete Seeger, Tom Paxton,Donovan, Joan Baez, Richard & Mimi Fariña, and others. She also will perform her own songs, and discusses the songwriting process, and what it was like growing up with her late father, world-renowned author E.L. Doctorow. This program, through song, offers the listener a unique perspective this significant period in our country’s musical history. It’s that audience members of all ages will enjoy and remember. Audience sIng-alongs are encouraged! In addition to eleven solo albums, she also recorded the first retrospective of the work of folk icons Richard and Mimi Fariña titled Another Country which received critical acclaim. Her songs and her voice have been heard on soundtracks on the large and small screen and she is a regular in the finalists ring of songwriting competitions. Caroline is the daughter of the late, world-renowned author E.L. Doctorow. Free and open to the public. No registration. Seating is first-come, first-served.